Carbon dioxide could be removed from the atmosphere and stored as a solid in a bid to manage climate change, using a new technique pioneered at Australia's RMIT University. 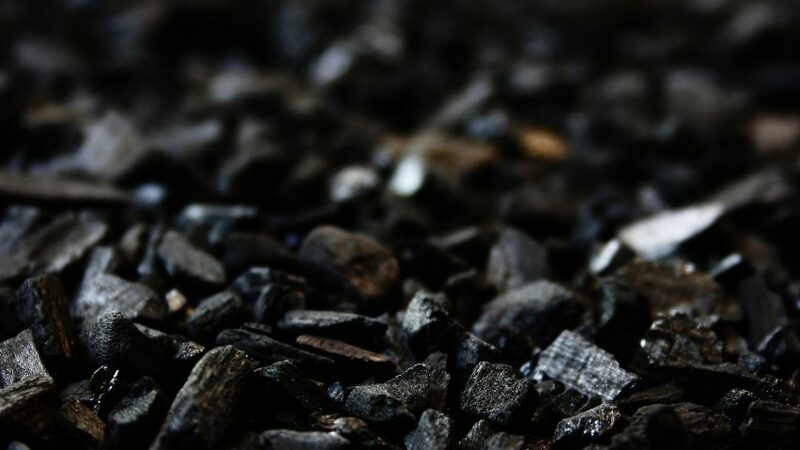 The research team turned CO2 into a coal-like solid, in what could be a potential negative emission technology that actively removes a greenhouse gas from our atmosphere. To keep climate change at a manageable level, the United Nations considers some kind of carbon dioxide-removal process a necessity. One of the current most-discussed methods for sucking CO2 from the atmosphere involves storing it as a liquid deep underground, raising concerns about potential leaks. The international team behind the latest research says their method is a safe and permanent alternative. "While more research needs to be done, it's a crucial first step to delivering solid storage of carbon," said RMIT researcher Torben Daeneke. Although the researchers are not the first to convert carbon dioxide gas into a solid, they are the first to do so without needing an unsustainable level of high heat. "To date, CO2 has only been converted into a solid at extremely high temperatures, making it industrially unviable," continued Daeneke. "By using liquid metals as a catalyst, we've shown it's possible to turn the gas back into carbon at room temperature, in a process that's efficient and scalable." The team detailed their electrochemical technique in a paper published in the journal Nature Communications in February. Their process involved creating a particular liquid metal, which they combine with CO2 gas and electrolyte liquid in a beaker. When an electrical current is run through it, the gas slowly converts into "flakes" of solid carbon. The solid carbon is similar to but not exactly the same as coal. In fact, it has additional useful properties. "A side benefit of the process is that the carbon can hold electrical charge, becoming a supercapacitor, so it could potentially be used as a component in future vehicles," said the paper's lead author, Dorna Esrafilzadeh. "The process also produces synthetic fuel as a by-product, which could have industrial applications." As well as RMIT's MicroNano Research Facility and the RMIT Microscopy and Microanalysis Facility, the project involved researchers from seven other institutions. They worked under lead investigator Kourosh Kalantar-Zadeh, now a professor of chemical engineering at University of New South Wales. The United Nations' Intergovernmental Panel on Climate Change considers carbon capture and storage separately to other, more controversial geo-engineering techniques such as dimming the sun. Although no technology has yet been effectively scaled up, several small carbon capture projects are underway, such as ClimeWorks' CO2-sucking factory in Switzerland. Researcher institutions: RMIT University, University of Munster, Nanjing University of Aeronautics and Astronautics, North Carolina State University, University of New South Wales, University of Wollongong, Monash University, Queensland University of Technology.